It has been a year since India and China ended the 73-day border crisis in Doklam. And for all the focus on the crisis itself and its implications for Sino-Indian relations, it is worth recalling that along their border, Doklam is arguably an exception where the Indian military may be perceived to have a slight advantage over the Chinese military because of its slightly better infrastructure there. Relatively speaking, however, the infrastructure on the rest of the border is quite appalling. 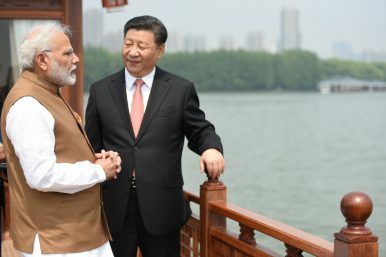 Indeed, unless India accelerates the pace of the physical border infrastructure build-up, New Delhi will face serious difficulties in any future confrontation with China. Last week saw Russia joining hands with China to conduct its largest military exercises since the Soviet era. 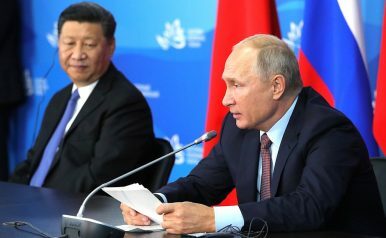 Chinese President Xi Jinping was in Russia as well to attend the Eastern Economic Forum in Vladivostok and he bonded with Russian President Vladimir Putin over pancakes, caviar, and shots of vodka. They were sending messages to multiple audiences: to those back home in Russia and China as the two leaders use military nationalism to consolidate their positions at home and then to the West and the U.S. in particular that two major powers are seemingly joining hands. Eisenhower was concerned that the rising influence of the weapons industry amid a Cold War arms race would unnecessarily divert government funds from domestic priorities like education, health-care, and infrastructure. In the over-a-half-century since his speech, the role of private defense companies in America’s wars — from Vietnam to Afghanistan and Iraq, and the smaller conflicts in between — has grown immensely. In addition to arms suppliers, the U.S. Department of Defense (DoD) now relies on contractors to manage most of its bases abroad and to run and guard the bases’ supply lines for everything from diesel to water, food, and laundry services. The DoD receives nearly one-fifth of the U.S. federal budget. In 2013, it spent roughly one-half of this on contractors — in other words, approximately 9 percent of the entire U.S. federal budget went directly to for-profit contractors who arm, supply, feed, and guard the military. A new Cold War is a possibility — but not the most likely one. Given the dysfunctional state of affairs in war-torn Afghanistan for the past decades, and the country’s strategic location on the world map, it is unsurprising to witness China’s fast-growing interest in the region. The progressively deteriorating security situation in Afghanistan, and the potential risks that could pose to Beijing’s long-term economic and strategic endeavors, is an unsettling prospect for China. However, the geographical proximity between Afghanistan and Xinjiang Uyghur Autonomous Region in China is arguably the most crucial motivation for greater Chinese involvement in the region. International media outlets and intelligence agencies worldwide have been circulating reports pointing toward the creation of a Chinese military base in the Wakhan Corridor of Afghanistan’s Badakhshan province for a while now. 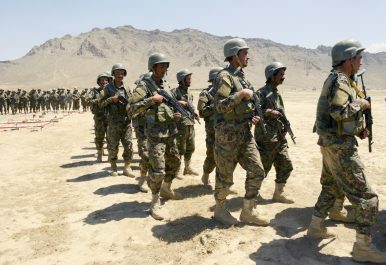 Although China has not embarked on militarization programs on foreign soil historically, and has profusely denied the rumors about building an Afghan “mountain brigade,” China’s first overseas military base in Djibouti provides an example of China’s newly adopted strategy of leveraging economic influence to further its strategic objectives. With a razor-thin majority in parliament, new Australian Prime Minister Scott Morrison will struggle to build a consensus among members of his Liberal-National coalition and prevent the Labor Party from winning elections next year. Until Australia solves the problem of parliamentary fragmentation, it will encounter difficulty in balancing economic ties with China and political ties with the United States. Due to Canberra's mixed signals on its ties with Beijing, China may choose to put engagement on hold until Australia's elections next year. For the past decade, Australia has been politically adrift. Like some counterparts in the Western world, it has been experiencing a cycle of deep fragmentation, polarization and swings in the political balance that have put its governments off kilter. Prime Minister Malcolm Turnbull's downfall in late August ushered in the country's sixth prime minister in less than a decade — with that period nearly evenly split between the country's two political pillars: the Australian Labor Party and the Liberal-National coalition. Wendy Cutler, vice-president of the Asia Society Policy Institute and a former deputy US trade representative, made the assessment from the sidelines of the World Economic Forum in Tianjin, northeast China, following sustained pressure from Trump on US allies to compromise in trade negotiations. 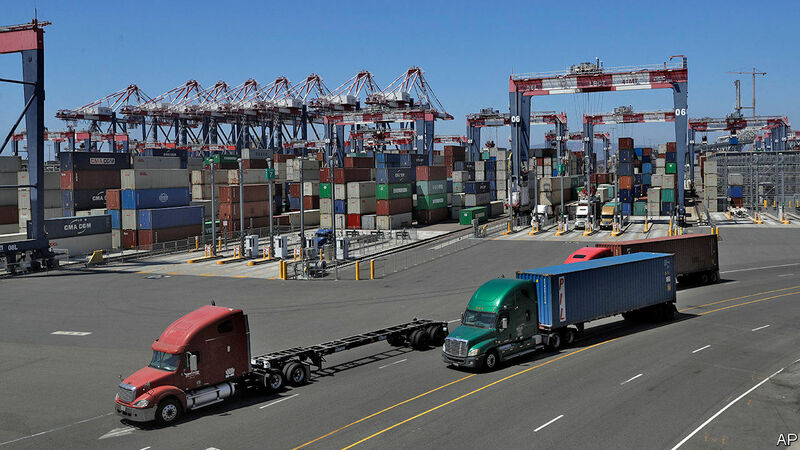 Trump has touted the success of negotiations with Mexico to revise the North American Free Trade Agreement, while Canada is showing signs it may make concessions in its Nafta talks with the US. In July, meanwhile, the EU and US reached a deal pledging zero tariff and zero barriers on non-car products. Despite efforts by South Korea and Japan to diversify trade patterns, Seoul is about to sign a trade deal with Washington in the coming weeks and Tokyo, a close ally, is also on Trump’s agenda in trade talks. China has ambitions for its rapidly expanding Beidou satellite navigation system to serve the whole world, not just Asia, but will it really be able to rival the well-established - and US-owned - GPS system? Dalintai - a herder in northern China - used to travel miles every day on his motorcycle to deliver water for his livestock. "I am able to deliver water to my sheep and cattle wherever and whenever I want via this system," he says. 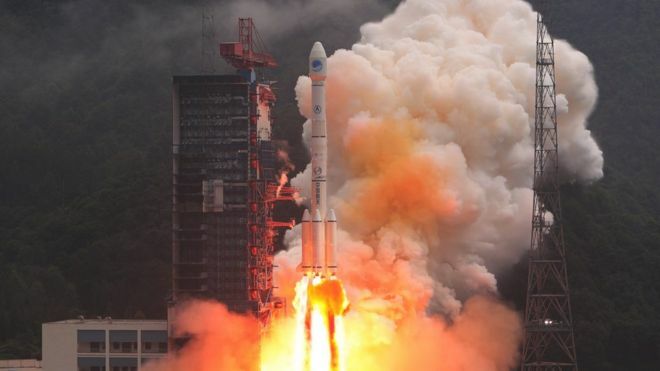 The message is relayed over China's expanding Beidou satellite navigation system, which is already being used used for transport, agriculture and even precision missiles. An estimated 70,000 opposition militants with legitimate grievances against the Assad regime are positioned for a low-level insurgency that could last for years to come. Moreover, an estimated 12 million displaced Syrians offer a potential pool of recruits for this insurgency. Humanitarian and economic costs totaling an estimated $200-350 billion will require serious outside investment. A failure to address these conditions will almost certainly result in continued instability and a future relapse into civil war. The presence of outside and non-state military forces —including Russia, Turkey, Iran, the United States, Hezbollah, Syrian Kurds, and others—will continue to pose an obstacle to stability in Syria and exacerbate ethnic and sectarian tensions. Washington is filled with talk of American exceptionalism. Policymakers insist that the U.S. has a unique mission in the world: to represent the aspirations of all mankind. This hubris has become the foundation of American foreign policy, especially when it comes to economic sanctions. Sanctions proponents routinely extol the supposed benefits of their policies, without ever providing much evidence. Studies have found that sanctions are most likely to work when restrictions are international, applied to a limited number of products, and intended to achieve modest goals. Even then, governments rarely sacrifice fundamental interests in response to economic pressure. Rather, they respond like Washington would in a similar situation, resisting concessions even more fiercely. 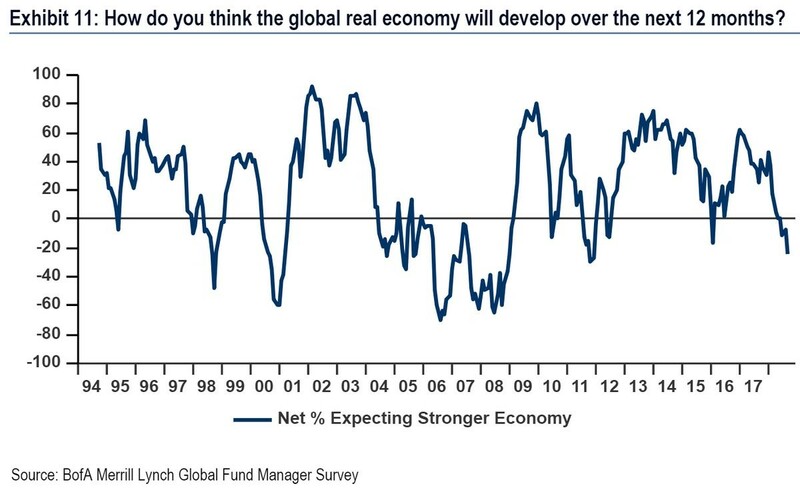 ANOTHER week, a further ratcheting up of trade tensions between America and China. On September 17th President Donald Trump announced that he had approved a further wave of tariffs on Chinese imports. From September 24th, imports of products which in 2017 were worth as much as $189bn, including furniture, computers and car parts, will be hit with duties of 10%. The Chinese have promised to retaliate on the same day with duties on $60bn of American exports. Unless peace breaks out before the new year, the American rate will increase to 25% on January 1st. We know that an overwhelming majority of technology entrepreneurs subscribe to a liberal ideology. Despite the claims by companies such as Google, I believe that political biases affect how these companies operate. As my colleague Nicole Turner-Lee explains here, “while computer programmers may not create algorithms that start out being discriminatory, the collection and curation of social preferences eventually can become adaptive algorithms that embrace societal biases.” If we accept that the implicit bias of developers could unintentionally lead their algorithms to be discriminatory, then, with the same token, we should also expect the political biases of such programmers to lead to discriminatory algorithms that favor their ideology. Industry leaders are scrambling to address the issue, which will take new thinking to overcome. This year, the US government paid out its largest bug bounty yet — during the government run "Hack the Air Force" program — for a vulnerability in its software. The flaw, if not proactively found, would have allowed hackers to run malicious code on its systems and manipulate data. It's the latest example of an emerging threat that has industry leaders scrambling and requires new thinking from security professionals. Former national intelligence chief James Clapper warned as early as 2015 that "the next push of the envelope" in cyber warfare was likely to involve data manipulation. Now, financial services companies, healthcare organizations, and other industries in which data integrity is critical to business are running cyber war games to figure out how to prepare for such threats. MENLO PARK, Calif. — Sandwiched between Building 20 and Building 21 in the heart of Facebook’s campus, an approximately 25-foot-by-35-foot conference room is under construction. There is a lot of talk about the profession of arms and what a professional soldier should look like. I would like to share a little about a professional I once had the honor and privilege to serve with. The Professional was a non-commissioned officer that everybody came to see at one time or another. Regardless of rank or position, the Professional treated everyone with respect and courtesy. When somebody needed a part, or services coordinated, or fluids or tires or a tool; they came to the Professional. If it concerned a piece of military equipment it most certainly concerned the Professional. He didn’t care if you were a line grunt, a driver, a cook with an MKT trailer or a Commander whose vehicle was down. I have heard a number of my colleagues at the University of Kansas voice their dissatisfaction with the defense budget and the armed forces. They tend to believe the nation spends too much on defense, and that the armed forces are involved in foreign lands doing things they should not be doing. What bothers me most about these complaints is their ignorance of what the armed forces actually do, and how they benefit. They also tend to equate political decisions made in Washington with the actions of the men and women who serve in the Army, Navy, Air Force, and Marine Corps. Since I am sure this situation is not unique to KU — when it comes to the military, people in Ivory Towers tend to be divorced from reality—I think a few facts would be valuable for all. The armed forces are considerably smaller than they were during the Reagan years. During the Reagan years the Army had 16 active duty combat divisions, now it has 10. 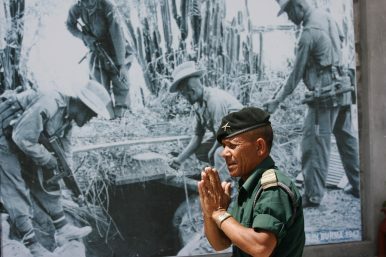 The Army had almost 800,000 soldiers, now it has fewer than 500,000. The Navy had 16 fleet carriers, now it has 11. The Navy used to talk about a fleet of 600 ships, now it has fewer than 300. The Air Force has suffered similar cuts.